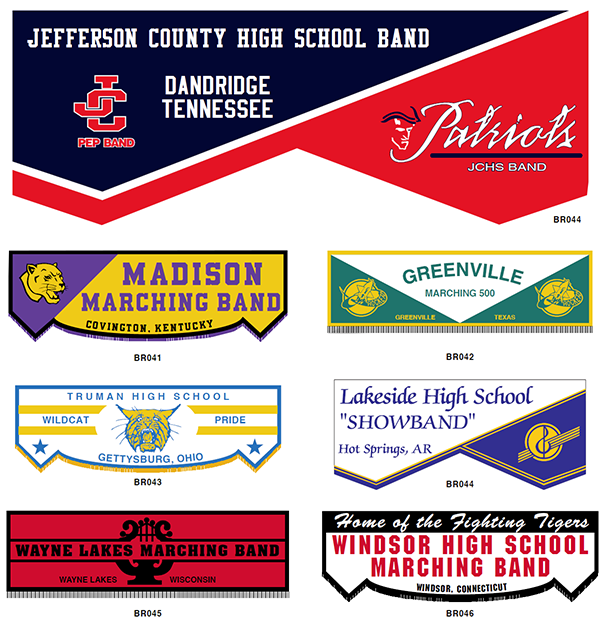 Lyre With Strings Patch 4"
Powerful in their simplicity, Nylon & Twill band front banners remain a tradition for displaying school spirit for any school band event or parade. Constructed by hand by dedicated craftsmen, these band banners are a true classic. The quality of our band banners is second to none! Get a quote today or call for banner sizing and prices.